Hampstead is widely famous for its literary, musical, artistic, liberal and intellectual associations. 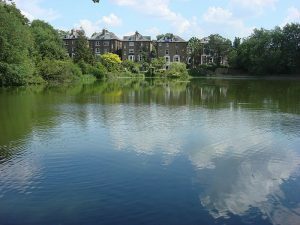 Another major attraction is the Hampstead Heath, beautiful and large parkland. Moreover, the district is home to residential and expensive properties. Hampstead accommodates a wide array of churches and places of worship. The Christ Church is the most renowned. This is the original church that used to serve the Heath and Hampstead. The church that is currently located in the area was constructed from 1850 till 1852 and it was designed by Samuel Daukes. Other impressive churches are Rosslyn Hill Unitarian Chapel, the United Reformed Church of St Andrew, the Church of St Mary, St Luke’s, St John’s Downshire Hill and St John-at-Hampstead. There are also numerous museums accommodated in Hampstead. Don’t miss the Freud Museum located in Maresfield Gardens. It served as home for Sigmund Freud since 1938, when he and his family escaped from Austria. It was the home of the Freud family until 1982. You can also visit the Kenwood House, Fenton House, Keats House Museum and Hampstead Museum & Burgh House. So as to get transfer from London City Airport to Hampstead by rail, you need to take the Dockland Light Railway to Bank Underground Station and from there you will take the tube to Hampstead Underground Station. Other transport options include taking a transfer from Bank Station or London City Airport to Hampstead. In order to get from London City Airport to Hampstead by car, you have to take the A406 road. The distance between London City Airport and Hampstead is 22.7 miles. A Transfer from London City Airport to Hampstead with 247 Airport Transfer will take approximately 1 hour. The transfer from London City Airport to Hampstead will cost around 35 GBP for a saloon car.